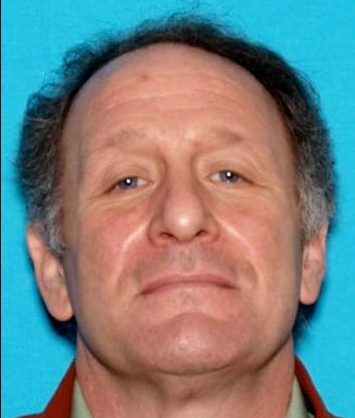 Edward Blumenthal, 57, has not contacted his parents, who live in Yarmouth. They last saw him Aug. 27. The Portland Police Department is asking for the public’s help in locating a Portland man, who hasn’t been seen in nearly a month. Lt. Robert Martin in a release issued Wednesday said that 57-year-old Edward Blumenthal was last seen at his Preble Street address on Saturday, Sept. 9, around 5 p.m. According to Martin, Blumenthal has lived in Portland all his life and enjoyed taking walks near his home in downtown Portland. Blumenthal does not own a car, but does have a mobile phone. Calls to his phone go directly into voicemail, Martin said. Martin said that Blumenthal has not accessed any of his bank accounts since he disappeared. He has also not contacted his parents, who live in Yarmouth. His parents say they last saw him Aug. 27 when his mother took him shopping. “His family is very concerned for his well being and state that it is unusual for him to not have regular contact with them,” Martin said. Blumenthal is a white male, 5 feet 9 inches tall, weighing 180 pounds, with short brownish gray hair and blue eyes. If anyone has seen him, they are being asked to call the police department at 874-8575.